From June 1-3, the Gaylord Nelson Audubon Society will sponsor the Chippewa Valley Nature Festival, which will integrate aspects of environmentalism, conservation, and fun into the first weekend of summer. The weekend will kick off with a silent auction, social hour, and cash bar from 6-7pm at the UW-Stout Memorial Student Center in Ballrooms A and B, then move into a keynote presentation, “All Things Connected,” by the Minnesota Zoo, featuring live critters. On Saturday, indoor and outdoor sessions throughout Menomonie will provide opportunities for attendees to expand their knowledge of the environment and the creatures within it. Indoor sessions will take place in the UW-Stout Memorial Center Ballrooms. Outdoor sessions will take place across the Chippewa Valley and also span into Sunday. 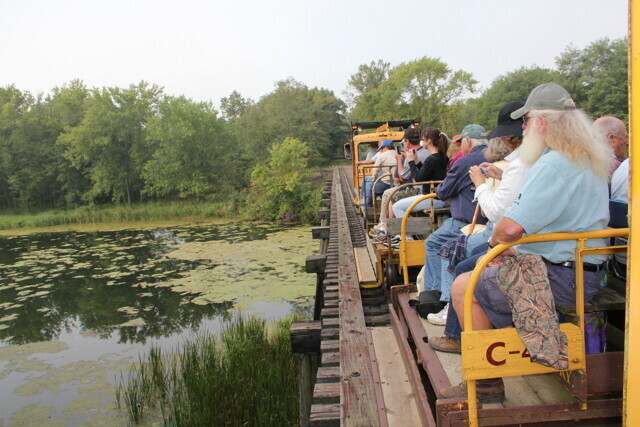 Discussion topics will range from the Crystal Cave Bat Program and guided tour on Saturday at 3:30pm, hosted by Eric McMaster and Hannah Lieffring in Spring Valley, to Tiffany Bottoms Bird and Plant Tour by Rail, hosted by Steve Betchkal, Kathy Ruggles, and Dave Linderund on Sunday from 7-11am. Some events require additional fees.